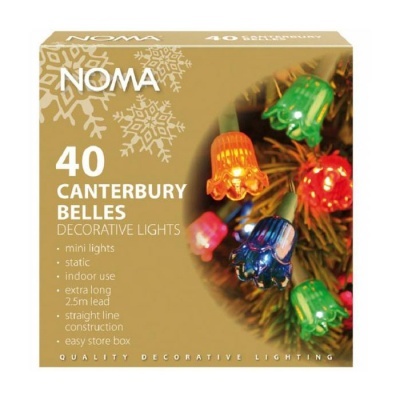 Noma® 40 Canterbury Belles Christmas Lights Multicolour/Green Cable heralds a nostalgic return to traditional Christmas tree lighting of our childhood before LEDs. Using Noma Quality G1 6 Volt coloured filament mini bulbs with readily available bulb replacements, this indoor Christmas light set remains a favourite choice. I'm very pleased with the lights, they remind me of the 1970's. Great service from Bosworths, Thanks. 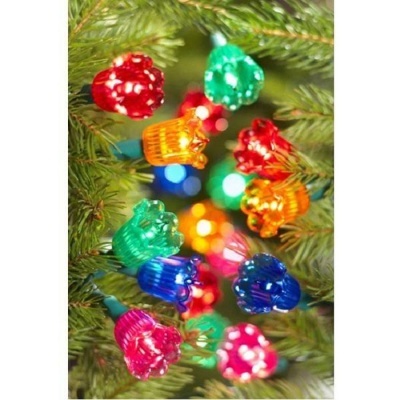 Thank you Bosworth's for the wonderful lights and great delivery service.